Tickets for the seventh-annual Valley First/UBC Okanagan Athletics Scholarship Breakfast are now on sale. The event will be held at the Capri Hotel March 29 and will feature renowned sport psychologist David Cox. For more than 25 years, Cox has worked with athletes from the grassroots to the international levels. In particular, he has worked extensively with Tennis Canada, the Canadian Davis Cup Team, Skate Canada, Rugby Canada and a host of other Canadian national teams. He has attended the Olympics on numerous occasions, most recently in support of the Canadian Snow Board Team at the 2010 Games. 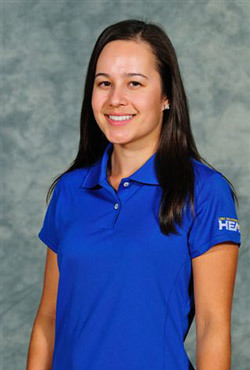 Jennifer Woods, a student athlete from Kelowna and women’s Heat golf team member will also speak at the event. With membership in both the Canadian Interuniversity Sport (CIS) (men’s and women’s basketball and volleyball) and the Canadian Collegiate Athletic Association (CCAA) (men’s and women’s soccer and golf), UBC's Okanagan campus is committed to post-secondary sport, says Rob Johnson, director of Athletics and Recreation. UBC recognizes the value of varsity sport and will match every dollar raised. To date, more than $280,000 has been raised from breakfast proceeds. As a result, some $7,500 in awards are available this year to student athletes. For more information on the event, UBC athletics or how to purchase tickets, go to www.goheat.ca or call 250-807-9168. About David Cox, PhD, R. Psych. David Cox is a clinical psychologist and a professor in the Department of Psychology at Simon Fraser University. Over the past 25 years, he has established a reputation as one of Canada’s top sport psychologists. He works extensively with amateur and professional athletes, coaches, and teams at all levels of competition - from the grassroots to the provincial, national and international levels. At the national level he has worked with sports organizations such as Tennis Canada and the Canadian Davis Cup team, the Men’s National Rugby team, Skate Canada, the Men’s National Soccer team, the Men’s National Basketball team, the National Wrestling program, the Women’s National Softball team, the National Wheelchair Rugby team, the National Cross-Country Ski program, the National Snowboarding program, and the Canadian Curling Association. At the international level, he served as a sport psychologist for Canada’s athletes and teams at the Olympics on numerous occasions. Most recently he worked with the Canadian National Snowboard Team at the 2010 Winter Olympics in Vancouver. 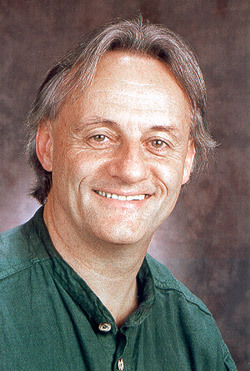 He is currently the chairman of the Sports Medicine Council of British Columbia. lar, he has worked extensively with Tennis Canada, the Canadian Davis Cup Team, Skate Canada, Rugby Canada and a host of other Canadian national teams. He has attended the Olympics on numerous occasions, most recently in support of the Canadian Snow Board Team at the 2010 Games. Jennifer Woods was born and raised in Kelowna, graduating from Rutland Senior Secondary in 2008. An active high school athlete, Woods competed in golf, soccer, field hockey, cross country and basketball. Upon graduating from RSS, Woods continued to support her hometown roots and helped coach the golf team at RSS. Woods is in the fourth year of the Bachelor of Arts in Health Studies program. She is expecting to graduate in April 2013 and plans to pursue a career in medicine. This was Woods’ fourth year competing for the UBC Okanagan golf team, finishing the season with a provincial silver medal and a Provincial Tournament All-Star award. Last season, she was named BCCAA Female Golfer of the Year. Woods says enjoying her passion for golf and having the opportunity to represent UBC have been her favourite experiences while attending the Okanagan campus.